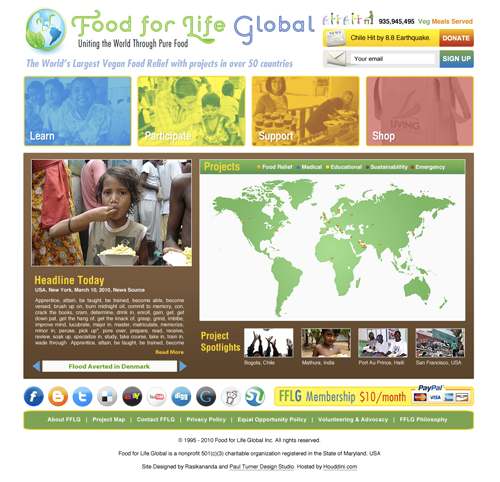 The world’s largest vegan food relief, Food for Life Global is getting a facelift. The new site is set to launch this Summer and will feature an interactive map of the non-profit’s global network of affiliates. Donors and supporters will be able to view the latest progress on a project in real time. The new site will also feature a special section for volunteers and those that wish to start their own Food for Life project. Here is a mock up of the new site home page.